From traditional Chinese load-bearing timber frame architecture that endured for seven thousand years without essential changes, to the international experimental contemporary architecture that seems to change with each development in information technology, architectural change has posed a formidable challenge to China’s vision of itself. Even the president, Xi Jinping, has an aesthetic opinion: “We have had enough of weird architecture!” What are these changes? What’s going on now? And where are these changes likely to lead us in the future? Several pertinent stories of architecture in China pose lessons that offer a method to answer such questions. Chinese calligraphy, and projection systems of the traditional Chinese landscape. This general tension of cultures between the work’s formal and conceptual elements serves a more specific critique of conditions in both China and the West. Besides her art work, Jia is the founder of Open Construction Site (OCS), a non-profit organization that serves as a means to integrate art and architecture practices. Her writing activities include her role as Executive Director of ARCH2O, a website dedicated to progressive discourses on contemporary architecture. Formerly, Jia was Director for China of KSP Engel und Zimmermann Architekten, which designed the National Library of China. 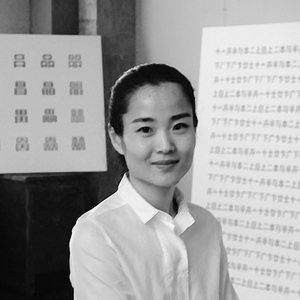 Jia trained as an architect and apprenticed with Ai Weiwei where she became director of architectural publishing for FAKE design, and subsequently the Director of HOOP Architects (Beijing). She has also distinguished herself as a curator of architectural exhibitions, and as a widely-published scholar of architecture. This lecture is hosted by the School of Architecture and is co-sponsored by the Snite Museum and the Liu Institute, and will be held in the Snite Museum’s Annenberg Auditorium.